For decades the well known “Duty Free” shops have plagued the international terminals at all large airports. From perfumes to bottles of Bacardi rum. We all have thought that this was the place to save money and even buy something authentic, produced in the departure country. Or so we thought. The truth is far from that. Duty Free only defines whether you pay a tax. And you do not. But taking into consideration that to make up for lost profit, they must raise the price of the goods. For example, a 1 liter bottle of Bacardi rum at your local wine shop back home may cost $10 or the equivalent in your currency. The duty free cost may be $11.50 or 2 bottles for $20. They bet on you buying 2 bottles to save money but you actually save nothing in the end. Now, it is also possible that depending on the import laws and taxes in your country, the Bacardi costs more than $10. But, read on. I have priced out many liquors from Duty Free shops around the globe and 2% of the time, I have found either a great deal or a rare bottle. Now I do not even stop in the shops any more. If your country of origin does not offer many options for items found in Duty Free, it may seem worth it to you. Instead, put some effort into your purchase. Visit some local shops in the country you are visiting first and you will find a much better selection and better prices. In Spain, I can find some amazing bottles of wine for 4 euros in the local markets that are 10 times better than most 8 euro bottles in the Duty Free shops. When you are packing for your trip, take a small duffel bag, roll it up, and pack it in your checked bag. You now have a small bag to use when going to the beach in Thailand or on small day trips to wineries in Tuscany, but the main purpose is for the trip home. Take any dirty clothes you have and shoes, and pack them into the duffel. You now have room in your checked bag for liquor and souvenirs. Empty coffee tins work great to keep your breakable souvenirs safe and you can wrap wine and liquor bottles in pants/jeans or you can even buy wine sleeves with bubble wrap built in. You can take the duffel on the plane as a carry on which costs less than a checked bag on most carriers. Most times, I take 5-6 bottles of wines and spirits home. Not one broken bottle in 12 years. Wine from Spain, France, Italy, Greece and Germany. Spirits from Norway, Puerto Rico, Jamaica, St Lucia, Aruba, USA, Poland, Greece, Mexico, Panama and Indonesia. The key is to place the bottles in the very center of your checked bag and tightly. The less room in the bag, the better and thus, your bottles will not shift around in flight. Keep in mind one important factor, the weight of your bag. Make sure you are under the limit. Shoes and jeans weigh the most out of most clothing items. If you are over limit, take out more clothing items and put them in your duffel bag. 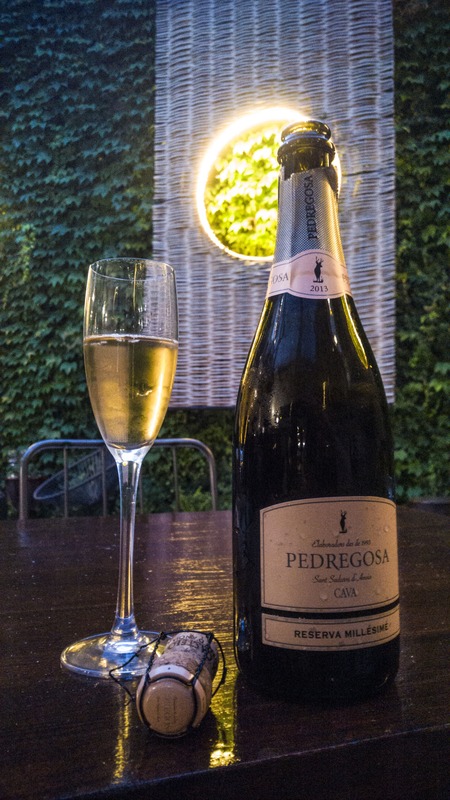 You will make it work, and it will be worth the effort when you uncork that bottle of Barbera or Rioja wine or that 18 year old Scotch, or an amazing solera rum back home. Now that we have touched on wines and souvenirs, what about that delicious prosciutto from Italy you bought while in Florence or the Manchego cheese from Navarra, Spain. Ziplock bags do not work well as they do not keep the smell from seeping out which the dogs in the Customs department will find when you enter your home country. 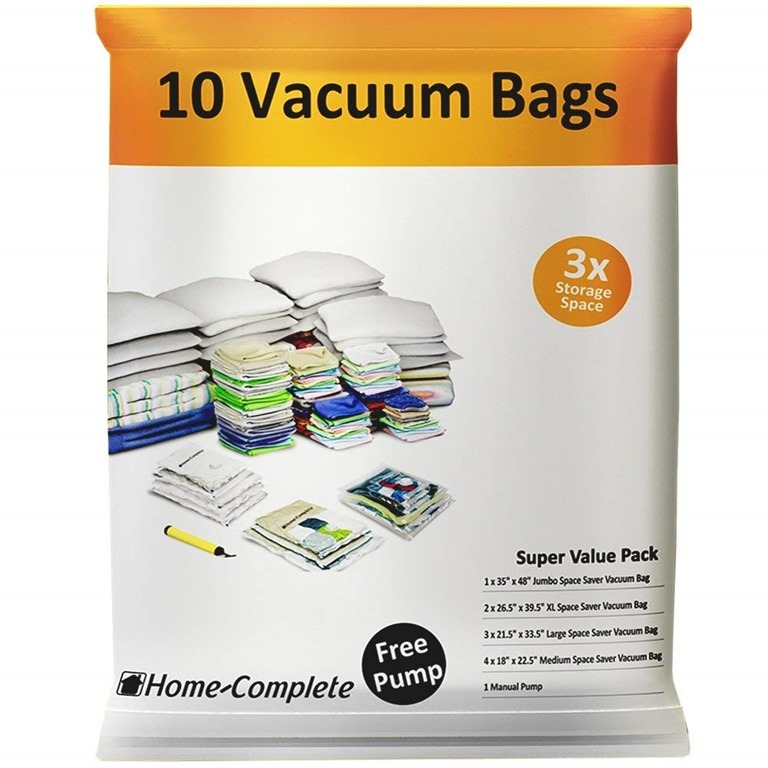 Instead, buy some vacuum bags which are sold as clothing storage bags. Seen below. Pack in your cheeses and foods. DO NOT PACK FRUITS, RAW MEATS OR VEGETABLES. Cheeses and cured meats are perfect for this. Make sure you keep these foods refrigerated until the day of departure. Seal them up, vacuum all of the air out and put them in your checked bag. These items are NOT allowed on the plane in your carryon. The bags also work well to pack your wines/liquors to avoid leakage. When you arrive home, you will have some amazing items to unpack and share (if you dare) with friends and family. If you like this post, please comment or like.